New Teacher Center worked collaboratively with nine state coalitions - including governors, state education agencies, teacher associations, stakeholder groups and practitioners - to implement the Teaching, Empowering, Leading and Learning (TELL) survey statewide in nine states from the spring of 2012 to the spring of 2103. The TELL survey is a full-population survey of school-based licensed educators designed to report the perceptions about the presence of teaching and learning conditions that research has shown increase student learning and teacher retention. 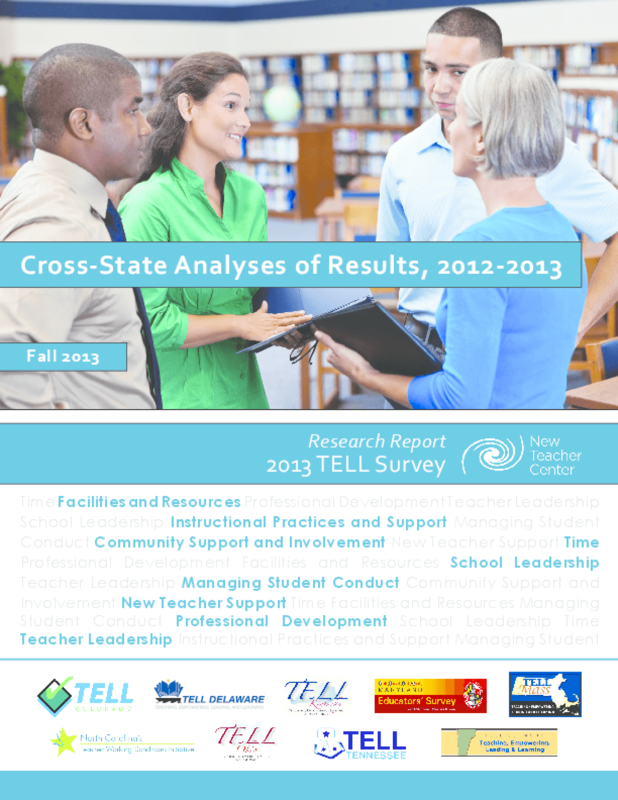 This report compares the results of the TELL survey at the state level across the country, providing an additional contextual lens for interpreting the results from each participating state to better understand their own findings.